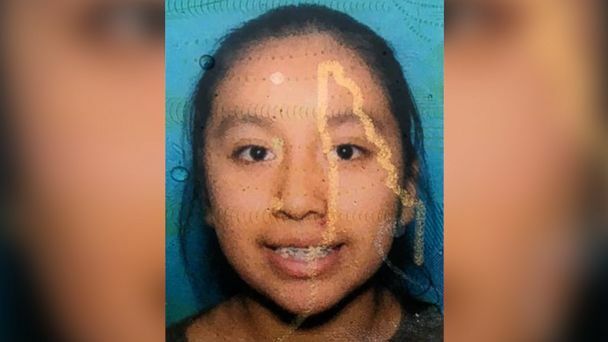 Investigators in North Carolina have released new surveillance footage showing a man they'd like to speak to in connection with the search for kidnapped 13-year-old Hania Noleia Aguilar. The man seen in the footage is not considered a suspect or person of interest at this time, rather someone they "want to speak with" and may be able to help investigators to narrow down a timeline, De la Rocha said. "This is the only person that, at this time, we are actually able to identify via CCTV footage, and he may have information for us," he said. The stolen SUV in which a 13-year-old was kidnapped was recovered just before 8 a.m. Thursday -- but the desperate search for the girl continues. Investigators are also going "door-to-door" to talk to anyone who lives nearby,Lumberton Police Chief Michael McNeill said in Thursday's press conference. "We were going to school," the caller said frantically, when a "man came and took the girl and the truck." ABC News' Matt Stone contributed to this report.